Lady J In Lotus Pose: Eat! 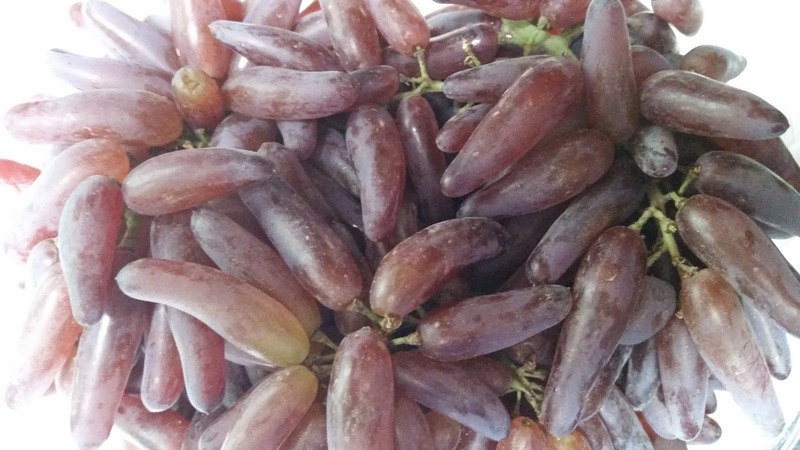 Grapes! I'm surprised these wormy things don't make my squirm. I'm actually content to sit hexing in the corner with a bowl full of these Witches Fingers. Are these in season in October? They'd be perfect for Halloween.